Aramis are an established fragrance and skincare house dedicated to providing men with wearable and masculine products to improve their appearance and quality of life. The original Aramis aftershave was launched in 1964 as the ultimate men's grooming collection, Aramis's success has been unprecedented in the competitive world of fragrance and male grooming. Aramis has continued to build on this established reputation, with a range of distinctive male fragrances and body products that are high performance and of astounding quality. Aramis Gentlemen's collection includes most of Aramis' much loved and classic essences, such as New West, Devin, 900 and JHL. Aramis is a classic fragrance that is distinctly masculine, authoritative, warm and provocative, with citrus tones and warm woods and a fabulous shaving collection. Aramis Adventurer is a unique fragrance experience for the sophisticated yet rugged, athletic and well travelled man. Inspired by the traditional qualities of the Aramis man fused with modern sensibilities, Gentlemen is the perfect fit for today’s elegant man. Aramis Voyager, a new scent for the powerfully energetic and unequivocally masculine Aramis man. Daring and bold, he lives to explore and experience the world. Modern and mysterious, Aramis Black is a combination of freshness and intense masculinity, inspired by the sleek elegance of the contemporary man. 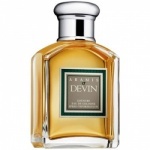 Aramis Devin was launched in 1977 for the man who enjoys a weekend relaxing in the aromatic countryside. A deeply cleansing, revitalising shampoo to condition and nourish your hair. 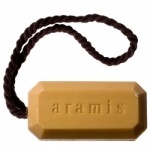 Enriched with the spicy fragrance of Aramis to layer the intensity of the scent. 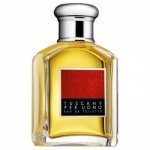 Tuscany Per Uomo is a sensual fragrance that embodies Italian style and artistry, with a bold and passionate statement. Aramis 24hr High Performance Spray provides continuous long-term odour and wetness protection with an invigorating and masculine scent. Aramis Body Shampoo On A Rope effectively washes away dirt and debris from your body leaving an invigorating and masculine aroma.